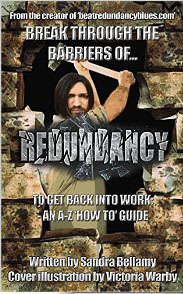 AUTHOR OF BREAK THROUGH THE BARRIERS OF REDUNDANCY TO GET BACK INTO WORK – AN A-Z “HOW TO’ GUIDE. 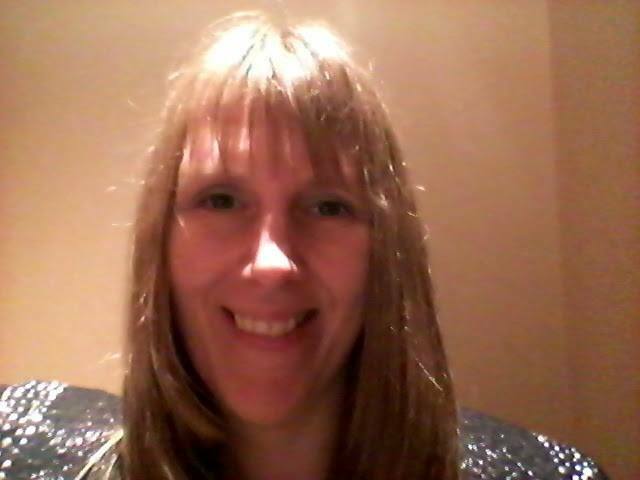 Sandra Bellamy is the author of Break Through The Barriers Of Redundancy To Get Back Into Work – An A-Z ‘How To’ Guide; available to buy on Amazon. I posted yesterday with the links to all of her websites, this is an interview with her. Congratulations on finally getting your Break Through The Barriers Of Redundancy Book Published, I know it’s something you have been working on for a very long time. So tell me about your book. First of all Al, I want to say thanks for having me as part of your mixed bag. In a nutshell, my Break Through The Barriers Of Redundancy book is a complete A-Z system for getting back into work, and a comprehensive guide about how you can recover from the devastating effects of redundancy to live the life of your dreams. Although this book is predominantly aimed at redundant workers, the content will prove equally useful to jobseekers or anyone looking to change careers for whatever reason. I am interested to know what you mean by a complete system? Good question Al. This book provides eighty benefits to my readers and covers twenty-six aspects of redundancy. It’s a system because each of the chapters is broken down into ‘5 components of redundancy’. You need to master all components in order to give you the best chance of success at getting back into work. Because this book takes a holistic view of redundancy, it will revolutionalise the way you think about redundancy, job-seeking and life in general. One of the key components to master first of all is wellbeing skills, before exploring what options are available to you and learning the practical job skills. Although they are interwoven throughout the book, because what we feel and think about on the inside (our internal environment), reflects on what actions we take to change our outer environment. This book is different because it does not just focus on one element of redundancy, but on the many barriers you need to conquer if you are to successfully get back into work. I show you how to deal with the inner trauma and turmoil of being made redundant such as grief and depression; before focusing on the practical elements such as job-hunting, CV and cover letter writing; and dealing with tough interview questions, so you can make an informed choice about which future path you should take. Focusing on wellbeing skills first, is essential in getting you successfully back into work. So for example, if you have job skills, but not the confidence to project that to recruiters in an interview, you are not going to get the job. Confidence is achieved by learning to love yourself for who you are and believing in yourself, when others don’t. I show you how to love yourself and project confidence to recruiters to get that job. When I was made redundant for the second time in my career in 2009, after dealing with the initial grief, I discovered I had a talent for writing outstanding cover letters to accompany my CVs that got me almost one hundred percent response to my job applications. That seemed unheard of, particularly in a recession. Upon reflection, I realised I had great insight into what an employer was looking for in a CV and cover letter, because I had recruited as part of my management roles. It was then that I decided I could help others who have been made redundant to get back into work and I could use my passion of writing, to enable me to do this. I also noticed how frustrating it was to have to trawl through website after website, trying to search for jobs, recruitment agencies, and courses, as well as information about the various aspects of redundancy, such as dealing with the grief of it. 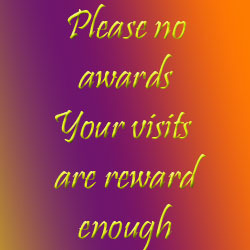 I wanted just one website to go to, that would give me access to all of these and that’s when I had the idea of www.beatredundancyblues.com and www.beatredundancyblues.co.uk. These websites are your one-stop resources for redundancy, with access to job sites, recruitment sites and course sites, from within the one site. Just like the book, they tackle numerous other redundancy problems such as time management and preparing for an interview. I think you may have answered my next question. I was going to ask you what makes you qualified to write such a book? Can you expand on your recruitment experience? I have worked in management roles for seven years. Part of my management duties entailed interviewing, recruiting, training and coaching staff and I took part in every aspect of the recruitment process from placing the advert to completing staff inductions and training. I have also experienced the other side of the recruitment process, when I was applying for work and being interviewed for jobs whilst redundant. I have been made redundant twice and each time managed to successfully work my way back up the career ladder. It is from experience that I have gained insight into both points of view and I am able to help others. I understand there is also an autobiographical feel to the book, are you able to expand on this? Yes. The book tells of my own redundancy success story. About how I had a goal to be a self-employed businesswoman and writer, and despite having a lack of support and belief in my abilities from my nearest and dearest, I managed to achieve it; by believing in myself. I want that to be a message to anyone who is reading this post or my book, that you can achieve your dreams, despite facing adversity. That you can achieve anything you put your mind to. Your future is your own to create, because your choices in life, are yours alone. You are responsibility for your own destiny. That’s powerful stuff. What’s your favourite chapter in the book? My personal favourite is Chapter 28, Zebra. It’s the final redundancy element, in which I make an analogy to a zebra and a snail. It’s a different style to all of the other chapters in the book and is about loving yourself and self-identity. I noticed you cross two genres – an A-Z guide with a ‘How to’ book. How does that work? Each of its A-Z chapters is about an element of redundancy, and within each chapter it explains how to do things related to that element to break though your barriers of redundancy and beat your redundancy blues. That’s what makes it a quirky book. Thank you Sandra. Where can the book be purchased?? This entry was posted in Books and tagged Amazon, August, August 2015, Author, Authors, Blog, Bloggage, Redundancy, Sandra Bellamy. Bookmark the permalink. Hello pouringmyartout You can break through all of those barriers of redundancy and so many more, with my Break Through The Barriers Of Redundancy book. Hi, you can get an abundance of knowledge and information, life skills and wellbeing skills, as well as job skills with my book. I like the interview, good insightful questions and answers! Hi Al, thank you and thanks for the interview. Hi Ste, thank you so much. 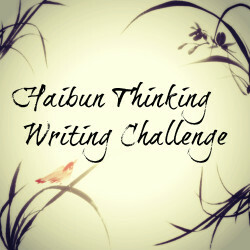 I am looking forward to visiting your blog on my tour soon and answering more insightful questions. How do you break through your barriers? My Break Through The Barriers Of Redundancy book is not an ordinary redundancy or job-seeking book. It’s a book like no other. Teaching wellbeing skills, jobs skills and life skills, plus many more. Read my in-depth interview about my book, with Al Forbes and post your comments below. Hi Al, thanks so much for doing this in-depth interview. I think it explains a lot more about what the book is about and how I came to write it. If anyone wants anymore information about my Break Through The Barriers Of Redundancy, they can leave it in the comments on here or on my http://www.quirkybooks.wordpress.com blog. Interesting read. Sandra is certainly a great writer with lots of knowledge! Well done and again Congratulations to the book Sandra!